The view from my chin! 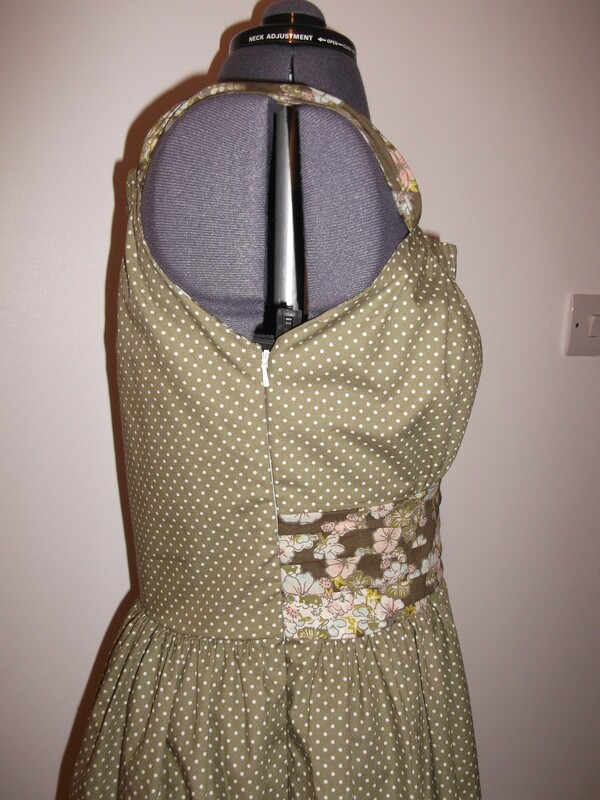 I managed to insert the concealed zipper into this dress with Baba Tweedie in the sling. Multi-tasking for the win! 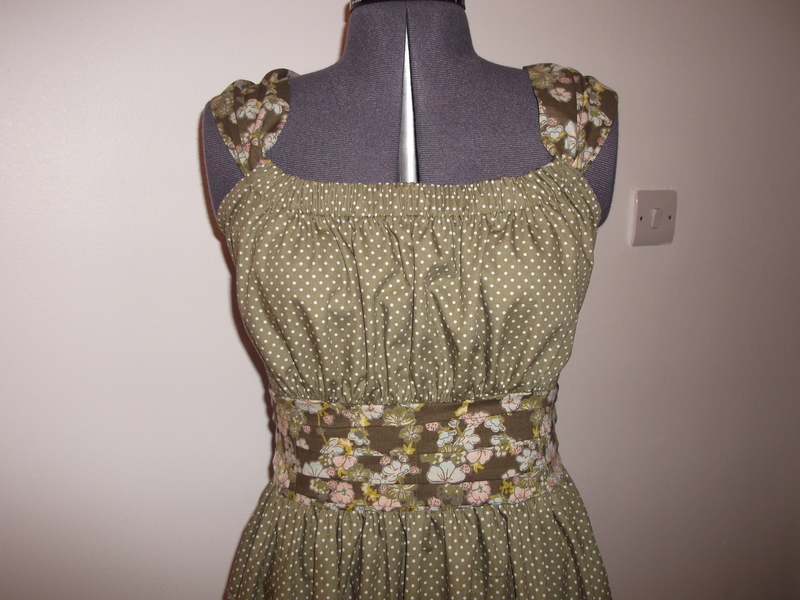 The finished dress, modelled here by Delilah. 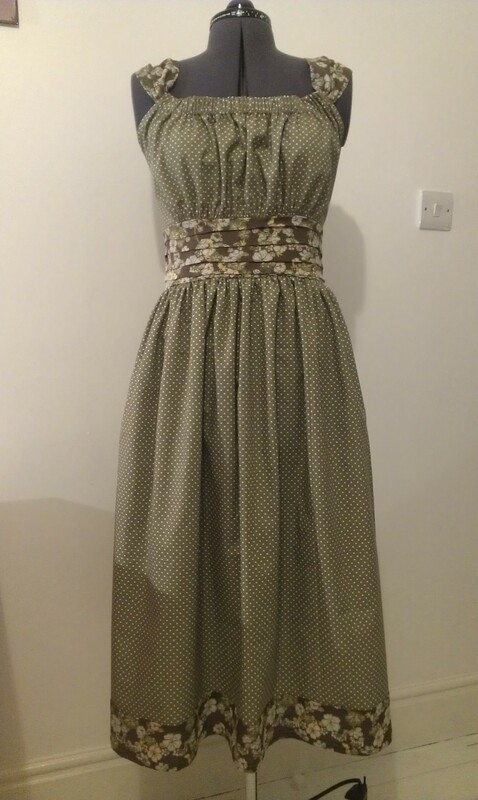 I haven’t had chance to wear the dress properly yet, due to the weather and also it isn’t practical for breastfeeding, but I did have a quick try on after making it (over my jeans) and here is a low quality photo just to give you an idea of what it looks like on. I’m looking forward to wearing it once the weather gets warmer here! ← I had a baby! 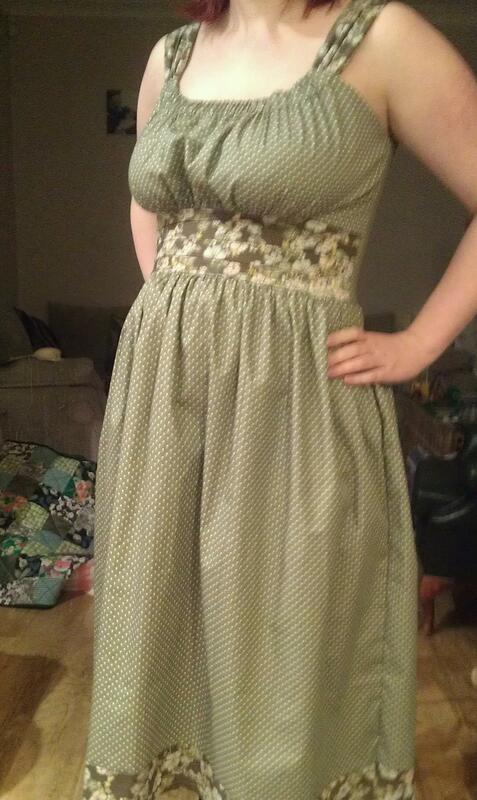 Oh, and I did some sewing. I can see why you are pleased with it, it’s a pretty dress! I love the pairing of the fabric, it gives it a nice touch. Thanks Inge! 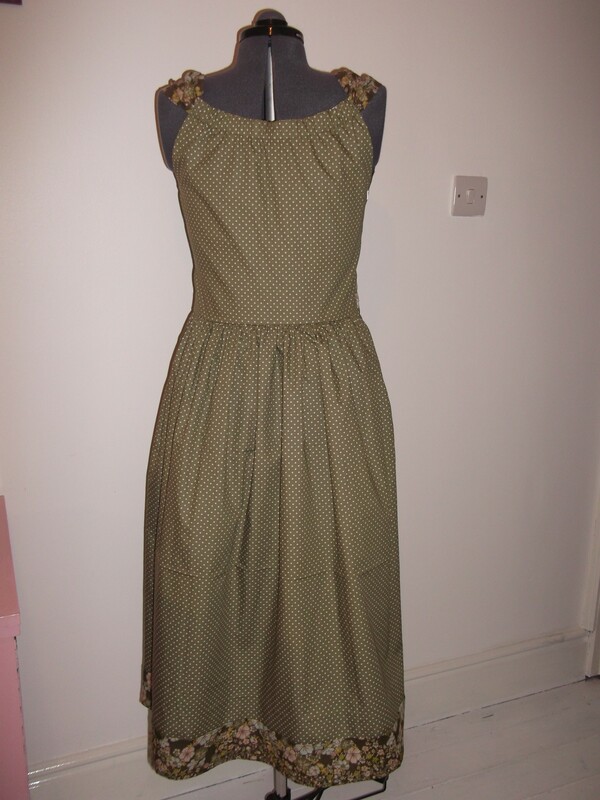 I was glad to be able to reuse the fabric from the maxi dress. I love this summer dress. It will look good at any length. At first I thought it was a short length and it’d look good full length too. I didn’t know there was a difference with dots as I thought they were all polka dots but it sounds reasonable to have pin dots too! Baba Tweedie looks so peaceful (and cute!) and will probably grow up to be a tailor! It actually turned out longer than I planned, it’s below the knee. I’ll have to see how it feels when I wear it and see if I want to take it up or not. Thanks Amanda! Yes Baba Tweedie is very supportive and helpful in the sewing room! Hahaha! 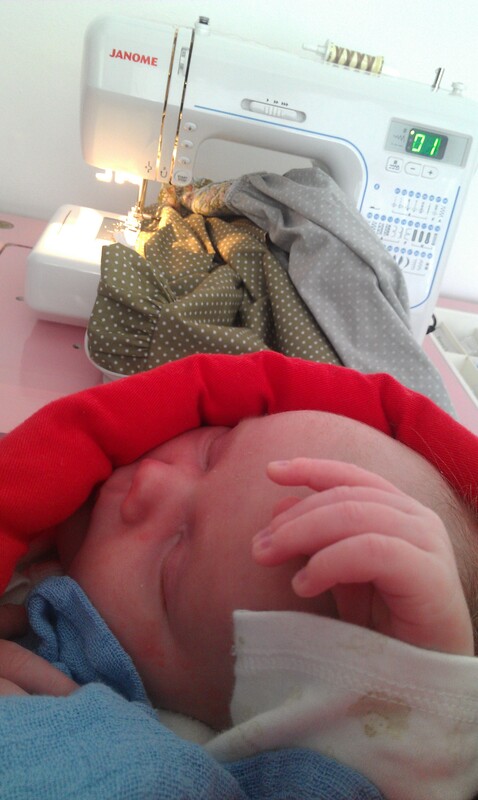 Aww, I’m glad to see it is possible to sew with a new baby! Pretty dress. I love the khaki green color. Thank you! I only did it when he was very little, I’m not sure if it would work now he’s 5 months old! Good luck though!